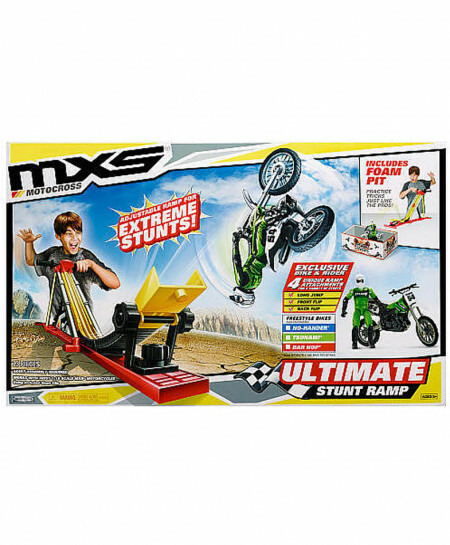 The MXS Ultimate Stunt Ramp let's you perform extreme freestyle motocross stunts just like the pros! Adjustable ramp allows for multiple stunt options. Works with all 116 scale MXS bike & riders using the included stunt clip. Use the MXS Freestyle bike & rider (sold separately) for even more extreme stunt action!